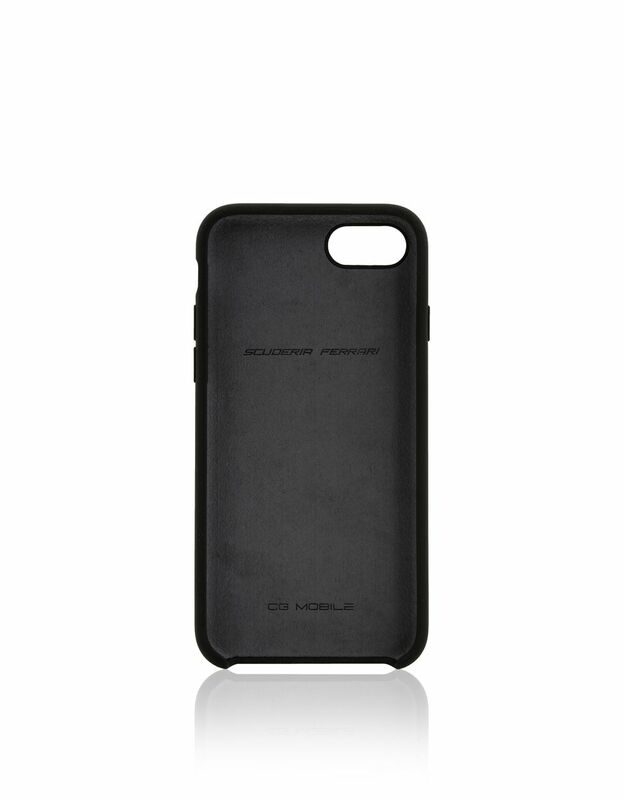 This silicone iPhone 8 case is defined by a sports-inspired curvilinear design. 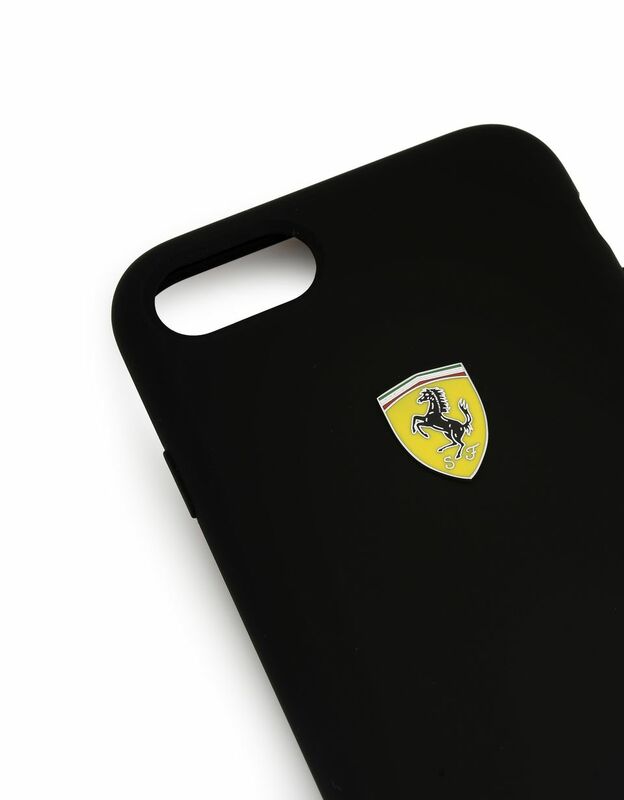 It’s personalised with the instantly recognisable Ferrari Shield in the classic colours for the most dedicated fans. Made with a microfibre inner, the cover is crafted to create a sinuous and aerodynamic silhouette. Its rounded corners ensure your phone is well protected while the button and camera holes allow practical ease of use. 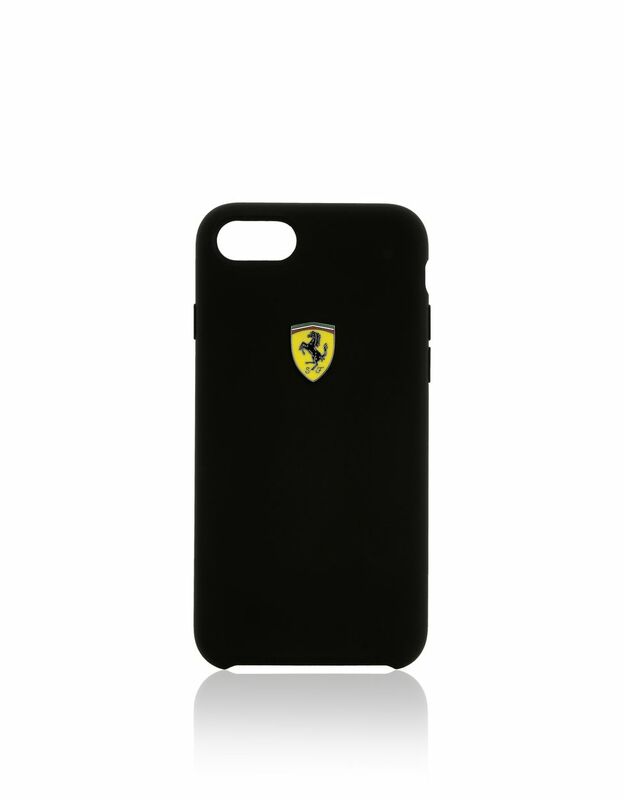 Here in a bold black version, this accessory celebrates the Scuderia Ferrari team spirit.